Great sources of inspiration can be big open source projects or small ones, like SPAs or showcases. 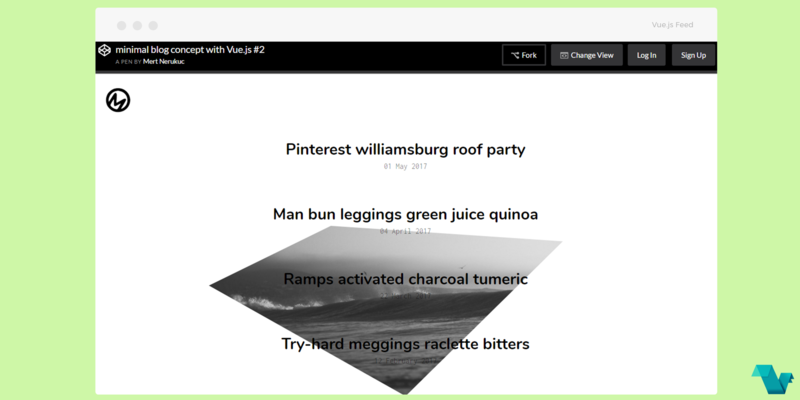 Here we present a minimal concept of a blog, built with Vue.js on CodePen. If you go through the code of this pen, in the editor view, you can see SVGs are usedfor the logo, all posts come from an array of objects, and switching between posts is managed with four methods all defined in the Vue object. This pen was created and submitted by @knyttneve.